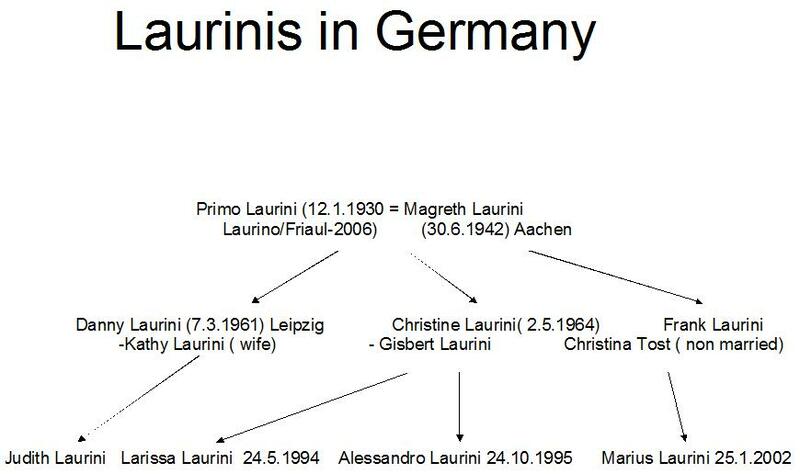 This website is devoted to all people with the surname LAURINI. It will be a place for exchanging information about the persons, their story, their origin, and so on. The great difficulty is linked to languages, because we have discovered LAURINIs in several countries speaking English, Italian, Spanish, French, German, and so on. We have decided that the Italian version will be the official one, and we immediately ask for apologies for those who don't understand Italian: we will try our best to maintain the site consistently in several languages. 4 - discussions about the origin of the name. Here are some elements. 5 - maps of the distribution of the Laurini surname, in Italy, in Argentina and in the United States. 6 - a page named "LAURINIANE" which regroups all information relative to Laurini. We await your contributions, photos and so on. For those interested, personal pages can be integrated. Sure, all ideas are welcome.